This week's EtsyInspired shop is Peaden Scott Designs. This shop offers amazing cards that are illustrated and hand cut. I cannot believe how intricate some of the designs are! There are words, shapes, buildings and more. They also accept orders for custom work. This is a completely different kind of card making than I do and I am in awe of how much talent and what a steady hand it would take to to make this type of creation! This week, Peaden Scott Designs is offering up two (2) cards of the winner's choice. Please check out the EtsyInspired Blog to get details on the rules and link up your creations! This week's sponsor is Through the Craftroom Door which is a crafting publication that came out last year. They have a website where you can interact with the editors, design team and do challenges, etc... They are offering up a one year PDF subscription to one winner. Here is my card for this challenge inspired by the card above. I went with the birthday theme. The stamp is from Stamping Bella and the paper is Echo Park. Great card Ashley! Love the colors & that adorable image you used! Awesome work as always Hun!!!!! 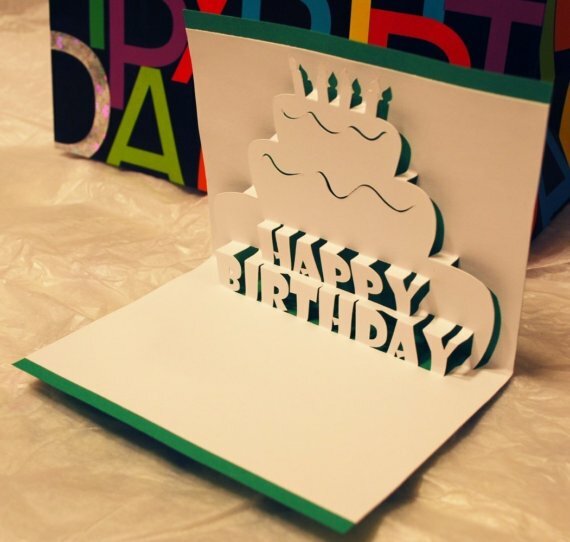 I just love pop up cards. 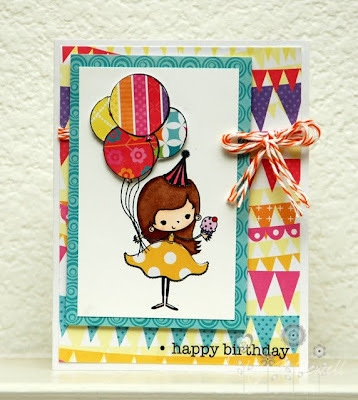 Your card is so adorable and love the bright and cheery colors. Cute, cute, cute! I love the fun image and colorful banners! Such a great birthday card! Absolutely SWEET!! Love your details and design, Ashley! awww such a sweet little Bella! She's all decked out for a partyin' good time! adorable! OOooooh!!! This card is PRECIOUSLY adorable!!! I love the fun prints and pretty colors!! Such cuteness! What a lovely fun and cheerful card Ashley, love how you've done her dress, so cute! How darling!! Love the paper pieced balloons! It's so bright and cheery! !